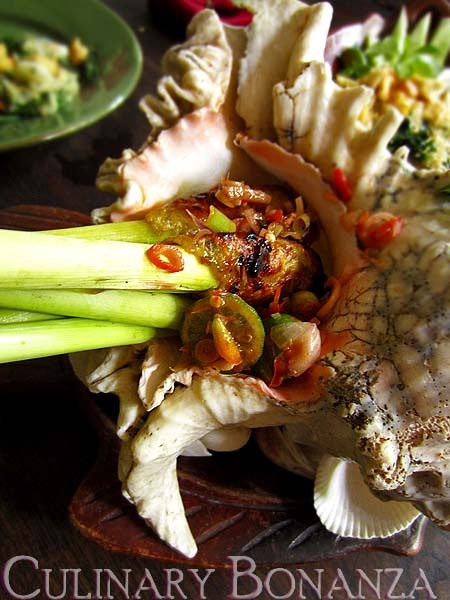 Lose yourself in this exquisite imperial cuisine escapade and relive the glorious era of Majapahit Kingdom. 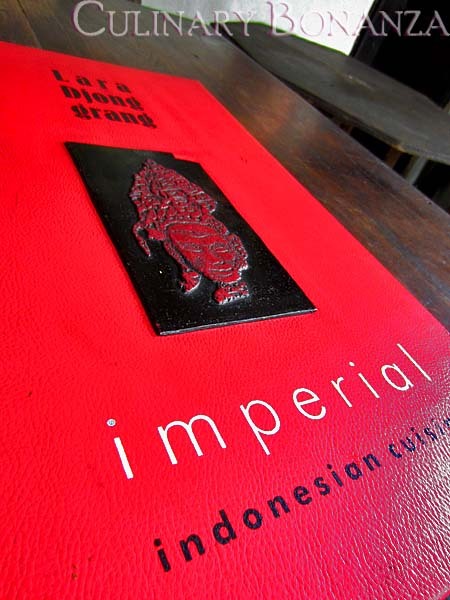 Such a fine choice I must concede, as Lara Djonggrang’s range of Imperial Indonesian cuisine was inspired by the royal journeys made by King Hayam Wuruk of Majapahit Kingdom back in the 14th century. And the name of the restaurant itself was inspired by a famous local legend about a princess of the Prambanan Kingdom, by the same name. 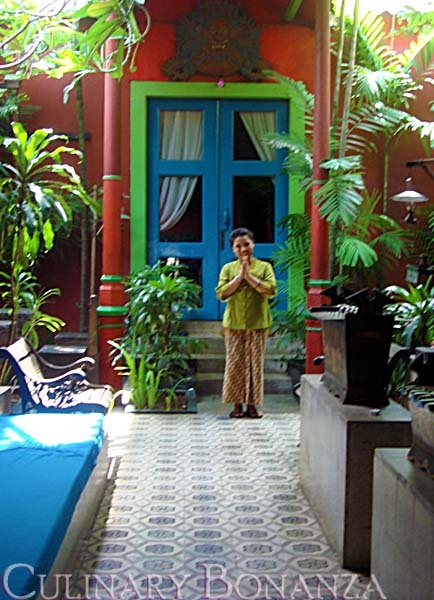 Lara Djonggrang is part of Tugu Hotels Group and Dapur Babah Restaurants. 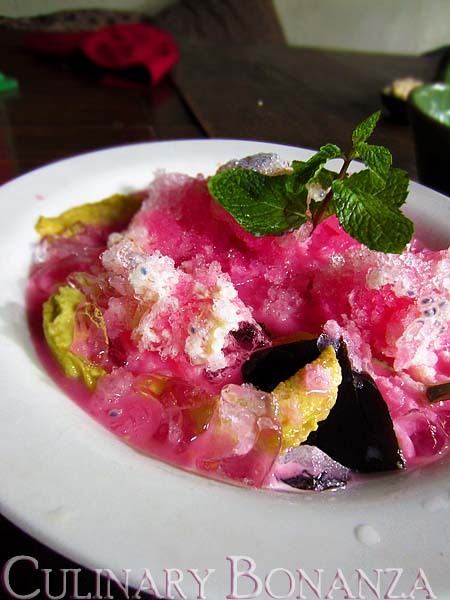 The former being the group name for the hotels located in Bali, Lombok, Malang and Blitar, whereas the latter is the group name for the chain of fine Peranakan restaurants Jakarta such as Samarra and Shanghai Blue. 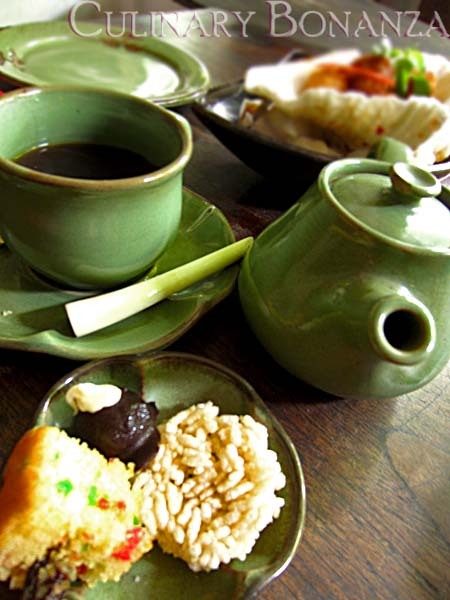 Just like like Dapur Babah, Lara Djonggrang is a restaurant and a museum, housing priceless antiques and artifacts from the Kingdom era in Indonesia. 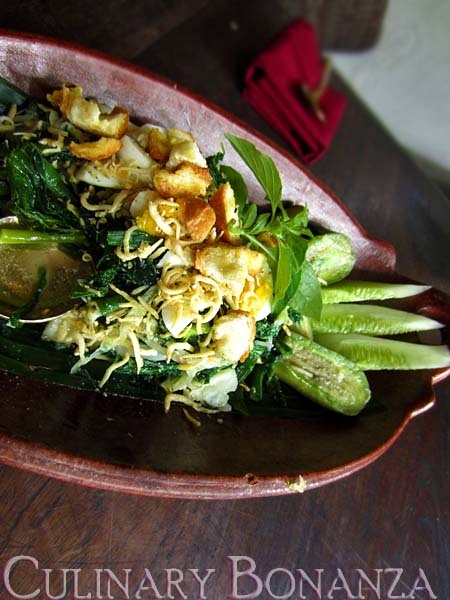 Its prime location in Menteng, Jakarta makes it a truly precious gem in among culinary enthusiasts from all over. 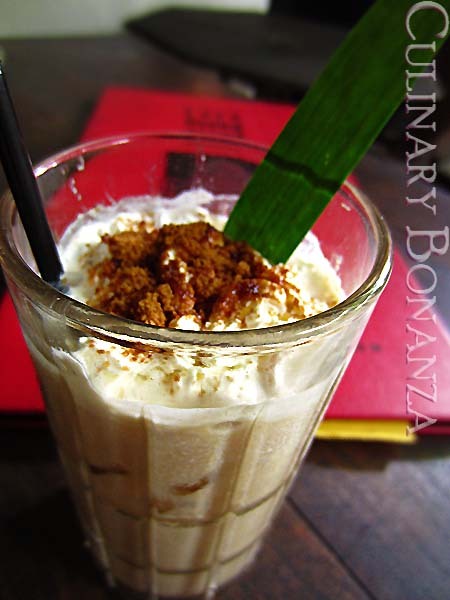 Inside Lara Djonggrang, is the La Bihzad Bar, which operates in the evening. The main dining area "China Blue"
Meticulous details were visible in each and every corner of the “house”, where there are many rooms with different themes. For example the China Blue, which is the main dining area in the building. 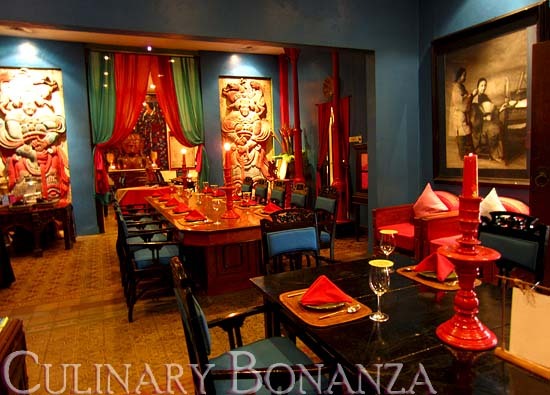 This room is dominated with blue and red colour, with statues of Chinese Gods and other oriental accent. Despite being only a single storey high, one may easily get lost inside, not only because of the many rooms, but also from being awestruck by the eerily beautiful replication of old times feel. For those who enjoy dining outdoors, you could request to be seated near the fish pond or around the bale-bale. 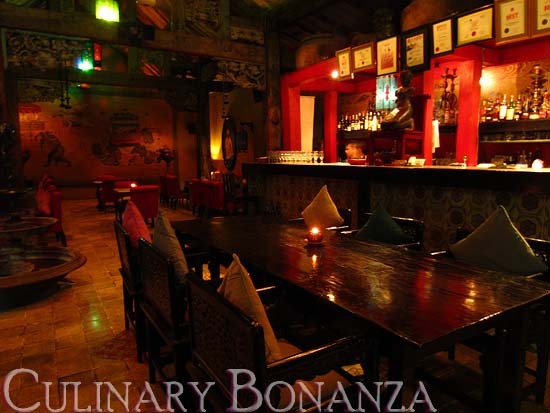 The cuisine itself is undoubtedly equally intricate like the décor and fit for the royalties. The royal expeditions made by King Hayam Wuruk and hundreds of palatial troops were followed by the imperial kitchen staff who meticulously prepared the meals for the King using what ingredients they could gather from each location they visited. Feast upon Lara Djonggrang’s house specialty (which is also my favourite item of all), the Udang Swarloka as appetizers. 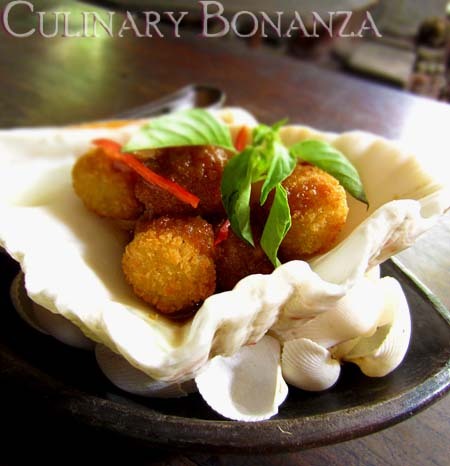 The finely minced shrimp balls with the palm chilli sauce are very exquisite teasers to start your imperial meal. 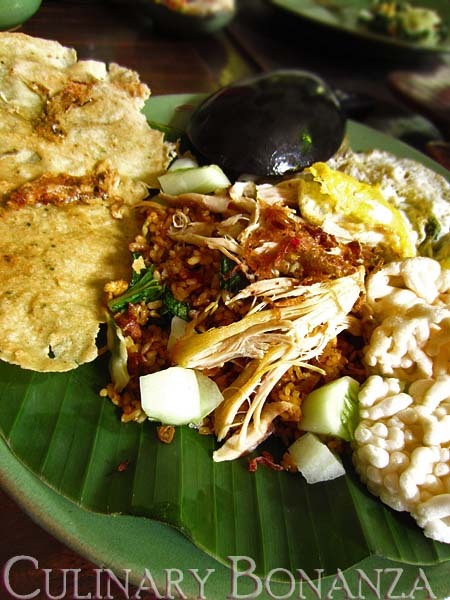 Another specialty is the Sate Lilit Ikan Gianyar (Bali), which is minced Balinese fish satay marinated and grilled to perfection. Even during the day, you can feel the majestic charm of the place. And the darkness after sunset only amplifies the mystery waiting for the patrons to uncover. Be warned that once you set foot here, you’ll be left wanting more. @irene: Yes dear, sate lilitnya disajikan di kerang. Very creative ya? This place looks like a sorta sunnier version of Dapur Babah! To be honest I've never been, despite hearing about it from so many people! It should be on our bucket list before leaving Indonesia! Love the creative presentation using shells! I am a beach fiend so love anything beachy!